This pineapple romper from Divergence Clothing is the CUTEST romper ever. I love the fit and adore how seriously comfortable it is. I’ve been throwing it on at least twice a week since receiving it. It literally is the perfect summer romper! I paired it with a bright orange clutch, embellished sandals and fabulous Bauble Bar earrings for a fun day with my sisters. Tassels have been everywhere lately and have become another one of my huge obsessions this summer. I guess you could sum my summer up in two words….pineapples and tassels. Two AMAZING giveaways happening over on Instagram! Follow me @twentiesgirlstyle and look for these two posts to find out how to enter!! 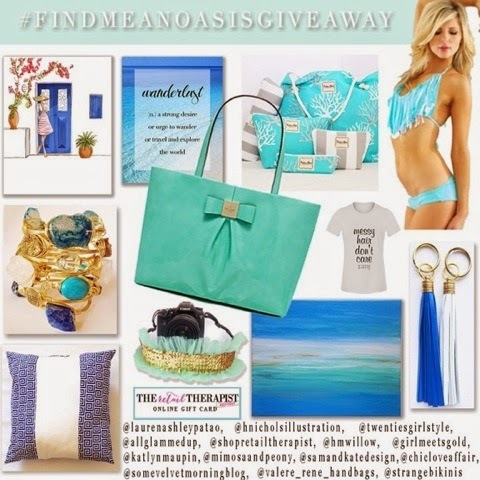 Win ALL of these fab prizes! 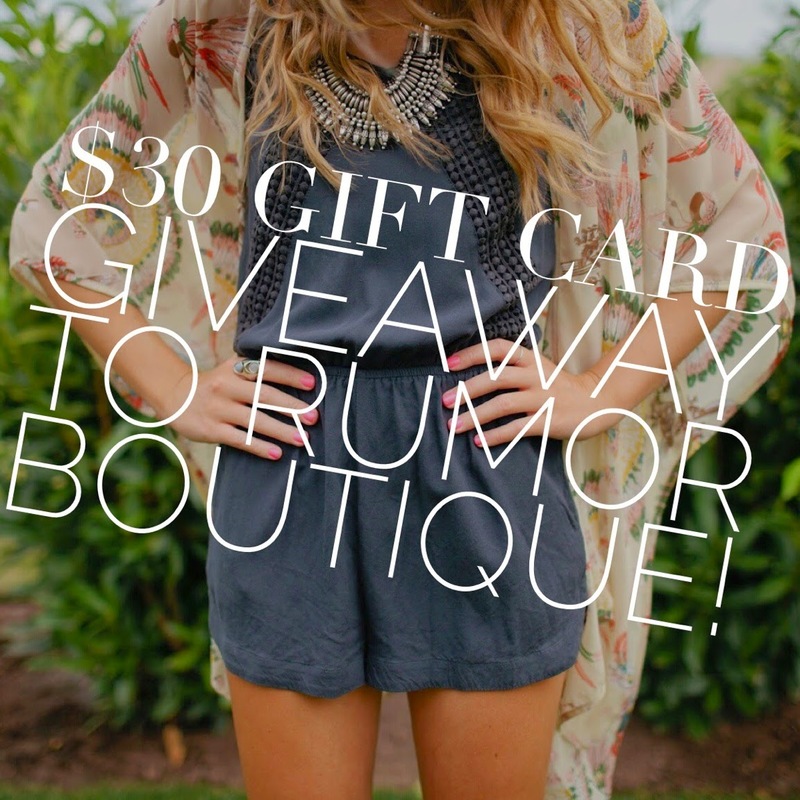 Win a $30 gift card to shop Rumor! So cute! Love that romper. that romper is gorgeous!! love the print! Wow this is a cute romper!! I am absolutely LOVING pineapple print for some reason right now, and that romper is TOOOo cute!! So freaking pretty! Also, you win every award ever for the amount of blogger trends in one outfit. Adorable. Beatiful romper and your hairstyle ! Love this romper! Seriously, how cute is it!? I've somehow managed to miss the pineapple print trend, and I'm so so tempted to get this romper. I'm in love! cute outfit! love the jumpsuit! Love this romper!! So cute! Loving the pineapple trend. This is too cute, and your earrings are perfect! You look darling in sundresses and rompers! That romper is just so adorable! Gorgeous! You look phenomenal and I love the addition of these fun earrings. Perfection. good you never can tell, Snapchat may determine to bounce on them tomorrow. snapchatonlinelogine.com their primary phone memory. There is constantly nice.